The Bigfoot community has been thrown into shock with the news that longtime researcher Bobbie Short, who many thought was 58, was really 76, and passed away a week ago, on May 16, 2013. 5/24/13 update: Hi everybody, I regret to inform you all that Bobbie passed unexpectedly a week ago Thursday 5/16/13. I know some of you may have been trying to contact her and wondering what was going on. This website and her research were a labor of love for many years and while I will not be maintaining it, I will certainly leave it up for an indefinite amount of time until its fate has been decided. There was also a book in-progress, that I’m not entirely certainly of its completion, that I’m trying to figure out what to do with….I’m Chris Millet, her grandson who helped her get this site off the ground and running so many years ago. 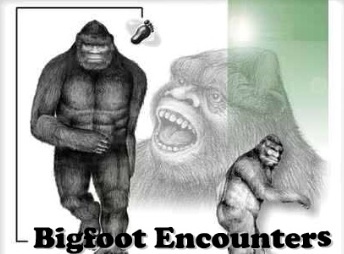 Bobbie Short’s website, Bigfoot Encounters, has been in existence since 1995. In my 1999 book, Cryptozoology A to Z, I profiled Bobbie Short. She has been well-known in the field for years, but rarely appeared at conferences and Bigfoot gatherings. The photographs above are the two that have been used for her for decades. Bobbie Short, a registered nurse by occupation, was born in California, told some people she was born in 1954 in Texas, but according to her grandson Chris Millet, she was a “native Californian” and was born in 1936. She was 76. Canadian researcher Todd Prescott has discovered that her birthname was Roberta Lou Eardley, which later became Roberta (Bobbie) E. Short. 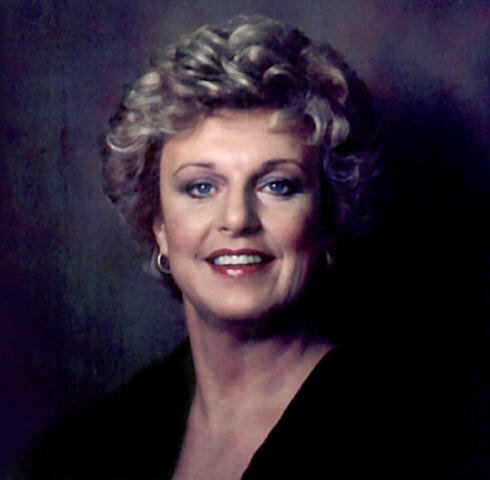 Roberta Eardley was born October 26, 1936. Short fostered her particular interest in the world’s unknown primates through her bibliographical research and her travels around the world. Her involvement began with a personal experience. While backpacking with friends deep in the Humboldt Forest-Trinity Alps region of northern California in the early morning hours of September 8, 1985, she saw a seven-foot-tall Bigfoot pass directly in front of her. Since then, she had traveled extensively in the Pacific Rim in pursuit of hairy hominoid stories. During March 1999, for example, Short trekked the jungles of the Philippines to interview natives about their sightings and tales of unknown hairy, bipedal creatures. Language was, at times, she told me, a problem with the native locals, and she said she used my field guide’s images as a tool. She continued her travels to other countries in recent years. For example, in the summer of 2003, she traveled through Central Asia, China, Mongolia, and Tibet, investigating and interviewing hominology. She promised then to share her results in a forthcoming book, according to her grandson, which may or may not be close to completion. In October of 1997, I worked with Bobbie Short and encouraged her to go interview Hollywood, Academy Award-winning makeup artist John Chambers in person. On Saturday October 26, 1997 Bobbie Short drove up to Los Angeles. There she interviewed John Chambers in a senior care center where he was living and recorded on audiotape John Chambers telling of his complete lack of personal involvement in creating a hoax that resulted in the Patterson-Gimlin Bigfoot. During the late 1990s, a rumor had circulated, often linked to a certain LA movie director, that Chambers had been the man to have produced the 1967 Bigfoot. Short put those rumors to rest with her interview. Short sat on the North America Science Institute’s short-lived research board in Oregon and was a life member of the San Diego Zoological Society. Her relationships with various researchers had a history of being hot and cold, and she was linked, at various times, with Peter Byrne, M.K. Davis, and David Paulides. She was a sometimes member of the China Flats-Willow Creek Museum, Western Bigfoot Society, the former International Society of Cryptozoology, and the British Columbia Scientific Cryptozoology Club. Short’s legacy will always be her extensive collection of materials she posted to her website, a popular source of finding historical resources on Bigfoot/Sasquatch. Some questions, in recent years, have been raised about her extreme editing of articles and incorrect information she was adding to the website. Some had grown to believe her website was no longer a valid resource due to her changing previously published articles to fit her beliefs. Bobbie Short died of a heart disorder, based on a probable infection from cherry Mexican tomatoes, for which she was earlier hospitalized. Thursday, May 16, 2013 at Alvarado Hospital in San Diego, California. Diego. 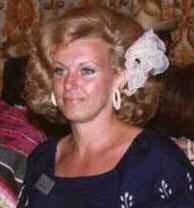 She is also survived by one sister, Carol Roeux of Arizona. Nicholas Johnson and Hayden Jones, of San Diego, California. Some people are reprinting this entire blog. understanding of the discussions will be intact. Thank you. I hope her book sees the light of day. Bobbie Short was always very kind to me in my dealings with her. I think she wished more women would become involved in this topic of research. She will be greatly missed. Wow. I thought she was an advocate from way further back (maybe I just automatically lunp anybody pre-Moneymaker with the Four Horsemen of Sasquatchery). She had her sighting the year before I, in extreme northern CA’s Siskiyou, found a line of tracks that – if they were tracks, and I’ve seen nothing that looked this much like them that wasn’t – a biped with humanlike feet, a lot bigger than us, made them. Bobbie did more with hers than I did with mine, and made the world a richer place for her having passed through it. RIP. Thanks Loren for taking the time to write this.